Set up a hotkey to toggle wi-fi. Is there a better alternative to Airtoggle? Is Airtoggle really the best app in System category? Will Airtoggle work good on macOS 10.13.4? Ever wanted to toggle Airport WiFi on your Mac with a hotkey? Airtoggle is for you. 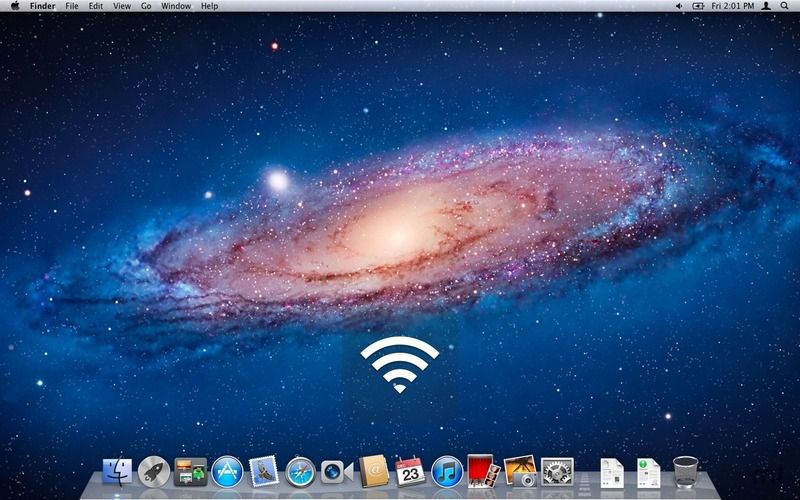 Airtoggle will allow you to toggle Airport WiFi as well as save precious space on the menu bar. Features - User configurable hotkey for toggling Airport WiFi. - OS X like OSD (On Screen Display). - Option to launch at startup. - Option to toggle Airport WiFi status in the menu bar. - Mac OS X Mountain Lion Gatekeeper ready. - Mac OS X HiDPI and Retina display ready. Airtoggle needs a review. Be the first to review this app and get the discussion started! Airtoggle needs a rating. Be the first to rate this app and get the discussion started!